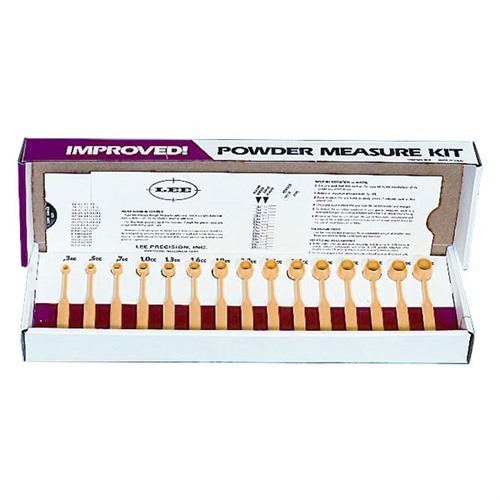 Lee Powder Measure Dipper Kit includes 15 graduated powder dippers from .3cc to 4.3cc. Slide card included has powder dispensing chart. All in all, if you are reloading cheaply, this is a good way to grab your powder before weighing it. Časť - Výrobcovia: 90100 734307901004 Lee prášok opatrenie naberačka sada obsahuje 15 naberačky absolvoval prášok z .3cc na 4.3cc. Karta snímky v cene má prášok výdaj grafu.